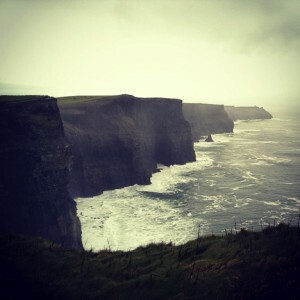 The Cliffs of Moher are featured in Harry Potter. During Thanksgiving break, I set off for Ireland with a group of fellow students to study agriculture, communications and culture. I was not sure what we would find, but I decided to focus my attention on how the Irish perceive the word sustainable. As I left Kansas, my definition of sustainability was very broad. It was simply this: to be able to feed the world. I made a note of how the Irish people we met along the way described the word in relation to agriculture. 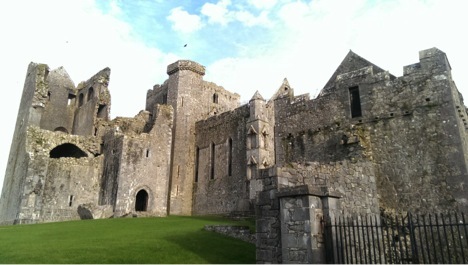 The Rock of Cashel has seven buildings from the 12th, 13th, and 15th centuries on the site. The buildings were destroyed over time by war and natural causes. Next, we met with the farming editor at the Irish Examiner, Stephen Cadogan. He grew up on a cow-calf operation, has a degree in agriculture and continues to farm today. Cadogan’s definition of sustainability is, “good for the world and quality assured.” At this point in the game, I am still thinking of sustainability on a global level. But wait, it gets better. These giant potato-looking things are beats grown to feed cattle. 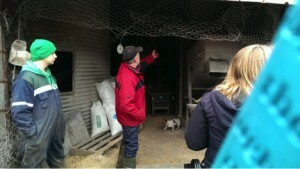 Nicholson shows us his grain elevator and storage system for his barley, which he also grows for feed. 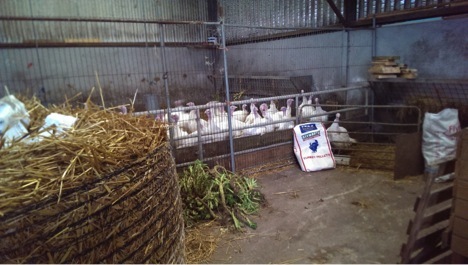 Turkeys at the Mannion farm are fed cabbage to distract them from pecking one another. The Mannion family raises cattle, turkeys, and sheep, and grows potatoes and cabbage. They feed cabbage to the turkeys. 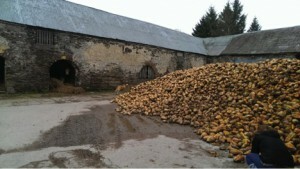 Some potatoes are sold and the rest are fed to the cattle. 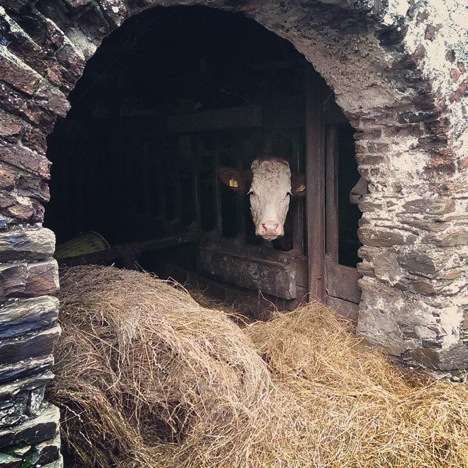 Nothing is wasted at the Mannion farm. They even recycle the plastic silage wrap. No longer am I only considering the ‘big picture’ of sustainability. My mind has been blown. I realize each farmer must sustain their own operation by producing food for the world, producing feed for livestock, efficiently managing resources, and making a profit. While our Irish journey taught me much more than the definition of sustainability, this discovery has made one of the greatest impacts. I now define sustainability as each farmer performing their job efficiently, based on three factors: their social life, their farm’s environment and the financial decisions needed to keep the farm and the farmer running. These factors make each individual farm a piece in the puzzle that will help feed the world, while keeping the land in shape to continually be used and by interacting as part of the individual cultures in which they live. At the Nicholson’s farm near Crosshaven, this cow is housed with several others waiting to calve.